Last month, FreedomPop began taking pre-orders for a $99 sleeve that turns an iPod touch into a voice-enabled 4G handset. The device uses Clearwire’s(s clwr) WiMAX 4G network for connectivity and is combined with a VoIP software client so that the iPod essentially becomes a modern day smartphone. That sounds great for those that don’t want a monthly smartphone bill — Freedom Pop gives you 500 MB a month for free — but what happens if you need to dial 911? The answer to that is to be determined. Light Reading surfaced this issue last week, and was told by a Freedom Pop representative that the company “should have more insights by launch later this Summer.” This issue isn’t unique to Freedom Pop, though, as it applies to all voice over IP calls. However, many such services can leverage a phone’s GPS chip or fall back to a 2G or 3G cellular network to assist with location. The iPod touch has neither capability, leaving Freedom Pop without a simple solution. In the coming years, we’ll be transitioning all of our mobile calls from traditional cellular voice to IP-based communications; voice will simply become another data type on mobile broadband. That’s no secret and is why, according to EETimes, North American network operators are looking to get E911 support on LTE by 2014. That timeline may not be aggressive enough in the rest of the world for emergency location services though: On Wednesday, SK Telecom is set to turn on Voice over LTE, for example. This doesn’t mean the FreedomPop sleeve for iPod touch is a bad product; heck, it’s not even in customers’ hands yet, so I can’t speak to the performance. However, if you’re thinking of cutting expenses by dropping your standard smartphone bill and going with the Freedom Pop sleeve, realize that you may be giving up your ability to dial 911 to have help find you. Let’s see what the company figures out for launch. I do this already with Clearwire’s normal plan and I have a tmobile prepaid as a backup that cost me $100 a year. So for $8.33 a month I can communicate if my ipod fails. this is a lot better than carrying a contract data plan. how is this different than 911 for any other voip provider? It’s not so much a problem due to the VoIP provider in this instance, it’s that the iPod touch isn’t a true phone. 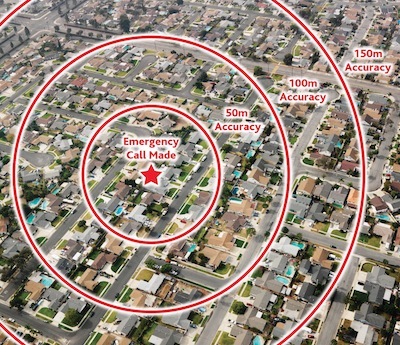 Meaning, it can’t fall back to a traditional cell network or GPS position to assist with 911 location. True, it’s a challenge for VoIP in general, but it’s made worse in this case due to the hardware limitations. Can you keep a spare cellphone w GPS just for dialing 911? You could and it’s likely that phone doesn’t even need a service plan; just a charged battery. You are right to recognize this as a problem, one that will be amplified as more turn to VOIP services. A potential ancillary issue is the challenge VOIP and MVNOs represent to the ability of states to fund resources for 911 services. In WY where I live, MVNOs are not required to collect on behalf of the state all of the fees and charges that the state’s legislature has tacked onto traditional cell carriers bills over the years. I may be confused or there may be a very simple solution. Every town I’ve lived in has a non-911 number that gets you to the same people. It’s a regular 7-digit phone number that I call from my cell phone instead of 911 (because cell calls to 911 go somewhere else in my town). If the iPod touch can dial regular numbers with Freedom Pop (I have one on order), I can call 911 responders by using their alternate regular phone number. I know nobody uses phone books any more, but if you get your phone book out and look up your city government, my listing shows a number for emergency as “911 or” and then it gives the 7-digit phone number. Other cities give a “non-emergency police asistance” number — call that to find out the alternative to 911. Def I’ve moved alot and there’s always been a local number especially on military bases, it’s distributed to local residents as part of the community safety program.